1. 3 modes for options: Normal/Natural/Sleeping. 2. Multifunction: Cooler, humidification, purification, ion & fan. 3. No water required when used in FAN ONLY mode. 4. Digital soft touch panel display. 5. With thick honey comb Filter & negative Ion. 6. Remote control received in 6-8M and 120 degree. 7. 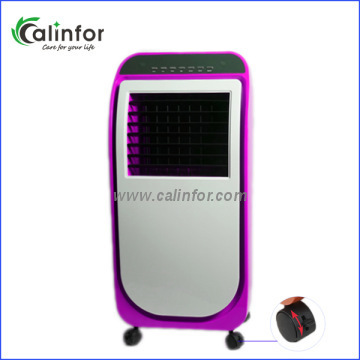 With 7L detachable water tank and Ice box to make cooler and save the power. 8. Auto swing (left-right) / mechanical (up-down). 9. 360°direction casters for easy move. 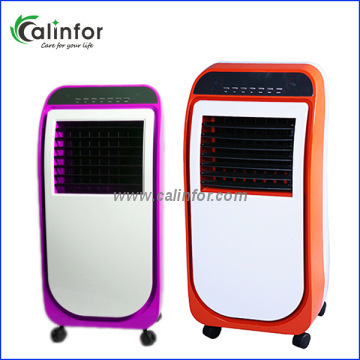 Foshan Shunde Calinfor Industrial Co., Ltd (foshan wangqing electrical) Located in No.35 Dasheng Road, Nanqu, Ronggui Town, Shunde District, Foshan city. Guangdong Province of China, with the advantage of convenience traffic environment, which is take 10 minutes to Shunde ferry port, 10 minutes to bus station and also 3 minutes to light railway station ect. We are the professional manufacture for home appliance, such as air cooler, cooling fan, water cooler,heater, electric oven,toaster oven,raclette party grill, electric grill and blender, juicer ect, we developed a lot of advanced products to meet our customer requirements. And most of our items got CB/CE/GS/ROHS/LFGB/REACH /ETL Approval to meet all the world market standard. Our aim is “Quality First” ,“sincere service to customer” and “with high social responsibility”. Most welcome customers from the world to cooperate with us. Our talent concept is “Ability and political integrity, win the talent, win the future”. We have our professional teams in R , technology and marketing. Pursuit excellence is our service aim, we absorb advanced design concept and EU popular style to make our products, which make your life have a good taste. 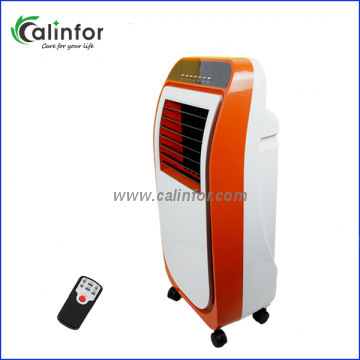 Foshan Shunde Calinfor Industrial Co.,Ltd is Located in Ronggui Town, Shunde District, Foshan City. Guangdong Province of China, with the advantage of convenience traffic environment, which is take 10 minutes to Shunde ferry port, 10 minutes to bus station and also 3 minutes to light railway station ect. We are the professional manufacture for home appliance, such as air cooler, heater, electric oven, electric grill and blender, juicer ect, we developed a lot of advanced products to meet our customer requirements. And most of our items got CB/CE/GS/ROHS/LFGB/REACH /ETL Approval to meet all the world market standard. Our aim is “Quality First” ,“sincere service to customer” and “with high social responsibility”. Most welcome customers from the world to cooperate with us. Our talent concept is “Ability and political integrity, win the talent, win the future”. We have our professional teams in R&D, technology and marketing. Pursuit excellence is our service aim, we absorb advanced design concept and EU popular style to make our products, which make your life have a good taste.